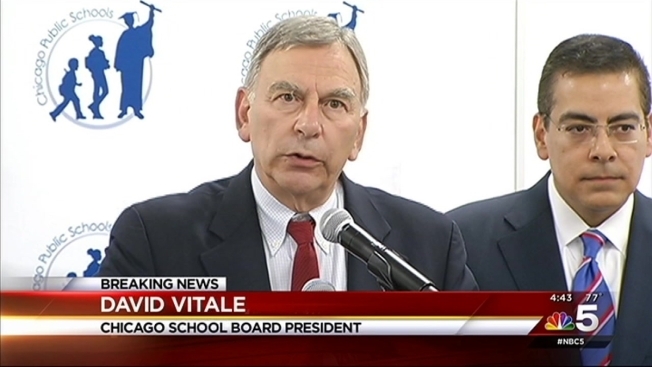 The interim CEO of Chicago Public Schools revealed plans to terminate a multi-million no-bid contract “if any wrongdoing is found” by federal investigators. The announcement came in an internal memo to CPS staff where Jesse Ruiz discussed his plans for his first day in office, following CEO Barbara Byrd-Bennett’s leave of absence amid an investigation into a contract awarded to one of her former employers—SUPES Academy. The memo, dated Saturday and distributed Monday, shows Ruiz plans to hire an outside firm to do an independent review of the organization’s contracting process. Ruiz said he also plans to halt all sole-source contracts pending the findings of the independent audit. “It is critical that the District maintain the public trust and I do not think we can initiate these contracts until we have independent verification that they adhere to the highest ethical standards,” the memo read. CPS revealed Friday that subpoenas directed at three CPS officials had been issued in reference to the federal investigation. Byrd-Bennett is a former employee of SUPES Academy, and investigators are looking into whether she received any kickbacks from a 2013, $20.5 million contract between CPS and the Wilmette-based firm.